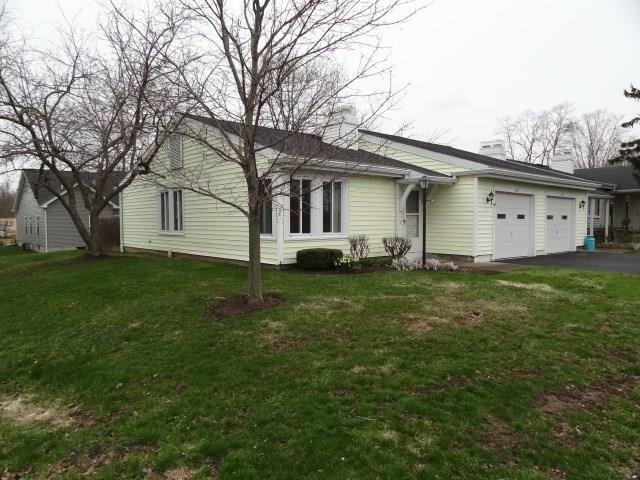 Affordable Churchville Greene! Inexpensive village electric, refuse included no extra charge, spacious 2 bedroom, 1 full bath, 1 car attached garage, private patio,central A/C. Churchville is a quiet, 1 light, village 20 minutes from Downtown Rochester or ultra convenient to Thruway and buffalo, village is a "walking village" sidewalks and measured routes everywhere, adjacent to Monroe County Churchville Park including fishing, 27 holes of golf, picnic areas, "frisbee golf", winter ice skating, and ball fields. Directions To Property: I-490 To Churchville Exit, Turn North To Light, Head East From Light Approx. 3/4 Mile, Turn Left On Greenway Blvd. Then Right Where 107 Sign Is.